I‘m very happy to welcome Celia Kennedy to the blog today. Celia is the author of both Venus Rising and Charlotte’s Restrained–which she is offering to one lucky reader. After the interview, leave a comment for the chance to win! Charlotte’s Restrained is described as “a comical fictional tale of what happens when the paths of a celebrity god and a mere mortal collide.” Sounds enticing. What else can you tell us about the story? Charlotte has four fabulous friends that she met at Oxford, while doing graduate work in business law. Right out of the gate you know these are intelligent, driven women. However, they let their hair down when they are together, so these capable ladies sometimes run amok. Hence, Charlotte lands in a bit of trouble and in the public eye. I wanted to write an intelligent and funny tale, set in real locations, where Charlotte rescues herself. While she is, a great romance, or two, blossoms, but the tale really is about the strength and friendship of these women. I was addicted to television show, Inside the Actor’s Studio. Every actor/actress interviewed appears to have multiple talents, have overcome serious life issues, and has astounding resilience and fortitude. Charlotte’s Restrained was inspired by a conversation I had with my husband after watching Clint Eastwood being interviewed. We thought how amazing it would be to chat with him over dinner (at his house in Carmel-by-the-Sea), maybe let him play the piano for us… Which led to a conversation on how a non-celebrity would or could go about making contact with a mega-star AND how do mega-stars make friends with everyday people. The banter amongst the women is really entertaining. The way they talk to each other demonstrates the depth of their friendship as well as displays their personalities and different cultural backgrounds. One could suffer whiplash from Marian’s Irish sarcasm or feel seduced by Tiziana’s Italian vivacity. 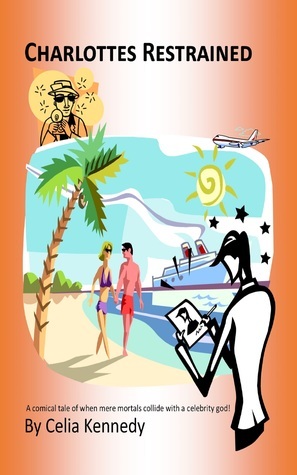 The real story, which has an unexpected twist, in embedded in a great travel book. Because these women live all over the globe, we jet between the US and Europe, while following Charlotte’s path to redemption over cocktails, great food, and decadent backdrops. My favorite part? There is some downright goofiness in the book, which makes me feel squirmy and embarrassed for her. Then there are really classy moments, where I want to cheer. The range of emotions is great to experience. I loved watching her evolution from a clueless, silly girl waiting for life to happen to a woman who wanted choices, wanted to live life on her terms. Firstly, I am incredibly blessed to have a huge village of friends. They’ve all participated in helping my dream come true by sharing my book with their friends, book clubs, and Facebook pages. What has also helped is that I love to read and write reviews. When I joined Twitter, I followed the authors whose book I had read and tried to politely enter a conversation with them. Many have been really supportive and friendly. In addition to establishing these connections, I wanted to link with others who are trying to navigate the maze of Indie publishing. I signed up to read and write book reviews for other Indie authors as well as participate in and host blog hops, interviews, and book promotions. I studied Landscape Architecture in school, and my biggest take away is that every project is better when approached with a team. So, I am trying to find my team. Everything in life worth having takes time to create. So, I remind myself that it takes years to earn credibility, respect and skill. I didn’t enter the world of writing with the dream that my book would shoot straight to Best Seller. When I started studying Landscape Architecture, I couldn’t draw, but I had to learn how to in order to convey my design concepts, to give the client their dream. And I did. This doesn’t mean I don’t have bad days, I do. I just remind myself that I have to have faith in myself and keeping trying. Sounds like you have a great handle on everything. With that in mind, what’s the best piece of advice you’ve received that you can share with aspiring writers? Start building connections the moment you decide to write a book, if you already haven’t. You need an audience to sell your book to. Write and promote, write and promote. Repeat. Great advice. So what can fans expect from you next? 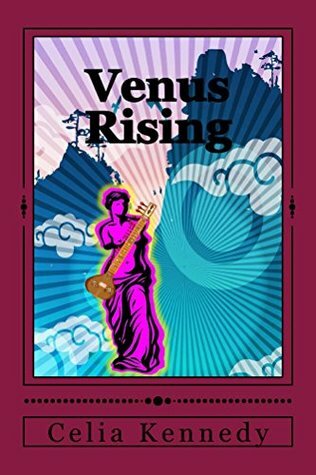 I have a second book, Venus Rising, already published. Personally I think it is an incredible book. It is an emotionally different book from Charlotte’s Restrained, but still based upon the idea that people should and can rescue themselves. I am currently writing a sequel to Charlotte’s Restrained, entitled Kathleen’s Undressed. Kathleen was a quiet character in the first book, so I decided to explore her and figure out why she is so elusive. I am really enjoying the process of writing a sequel. It’s more challenging than I thought it would be. 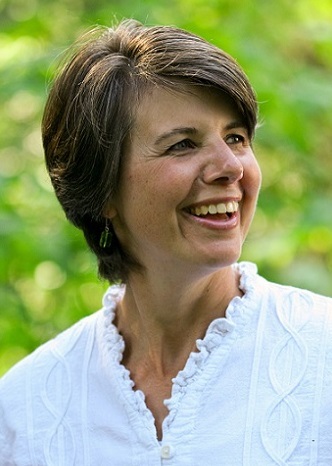 In addition to her website, celiakennedy.weebly.com, you can keep up with Celia on Facebook, Twitter (@KennedyCelia), and Goodreads. Charlotte’s Rising is available at Amazon. Celia is offering a free e-book of Charlotte’s Restrained! Comment below to win. The giveaway will remain open until 11:59 p.m. (PST) Tuesday, August 26, at which point a winner will be chosen at random. Skipping Midnight’s author interview series will be taking a brief vacation so I can focus on promoting Damsels in Distress and writing Book Three in the Desperately Ever After series. The Desperately Ever After series takes a whimsical look at our most beloved fairy tale princesses several years after true love’s kiss. With laughter, wine, and a new take on old-fashioned chivalry, these friends see each other through life’s trials—one secret at a time. Set in a fictional realm based on New York City, the books sprinkle fiction with elements of fantasy and encourage readers to rethink everything they know about happy endings. I also really like Giselle from Enchanted. Charlotte’s Restrained sounds like a fun way to pass the time–I’d love to win a copy.